Are you an artist or interested in building your creative skills? 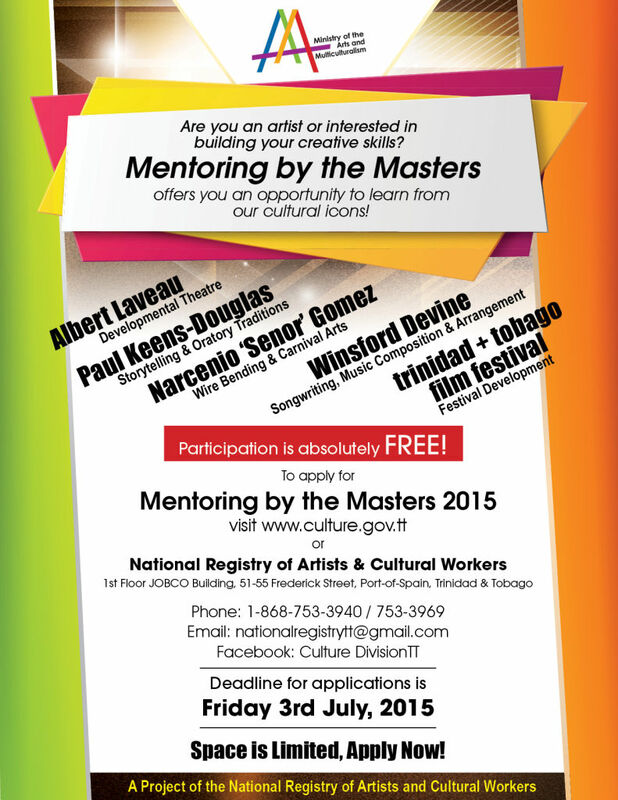 Mentoring by the Masters offers you an opportunity to learn from our cultural icons! Participation is absolutely FREE! Or you can drop into the National Registry of Artists and Cultural Workers located at the 1st Floor, JOBCO Building, 51-55 Frederick Street, Port-of-Spain, Trinidad and Tobago.